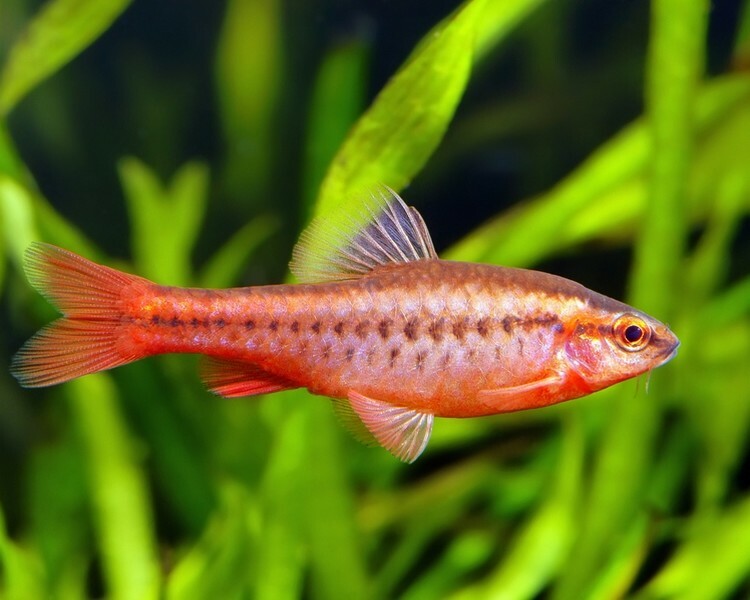 Barbs belong to the subfamily of the Cyprinids, the Barbinae. 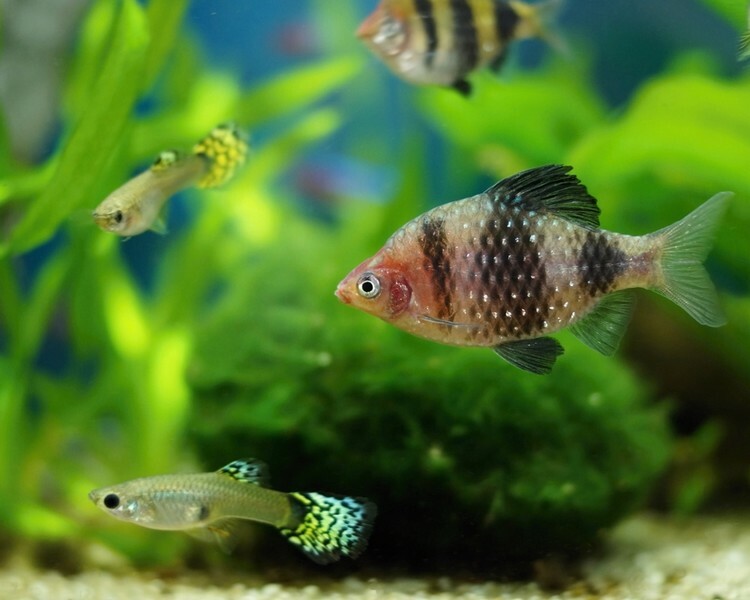 They are a hardy and colourful schooling species that do best if kept in groups of at least five or more, most prefer soft acidic to neutral water that is well aerated and a bit on the cooler side. 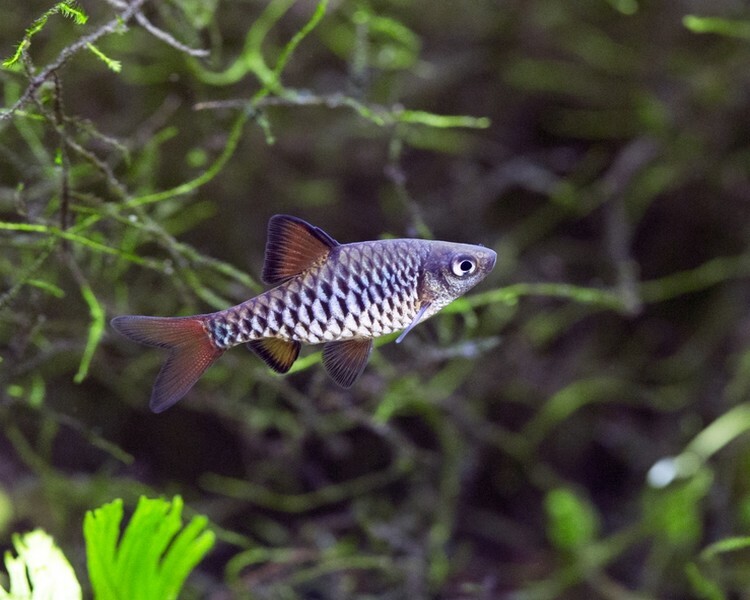 Like many small shoaling fish, the barbs have a hierarchy system where each fish has a level of dominance. In order to continually reinforce the group structure, squabbles and chasing are a regular occurrence. 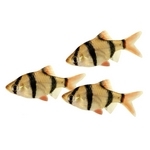 This behaviour rarely causes any serious harm but is where barbs have gained their reputation for being troublesome fin-nippers, the most notorious being the Tiger Barb who are prone to fin-nip other fish even when kept in large groups.